5 Mins Free international call for first time user……. DeeCall Unlimited World is a convenient pre-paid international calling service that works on any Thai-registered smartphone or fixed-line phone. 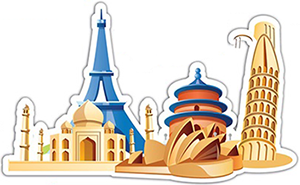 Unlimited worldwide calls from just 416 per month! · Eco package only 0.99 Baht/min. · Smart package only 0.79 Baht/min. · Enterprise package only 0.59 Baht/min. 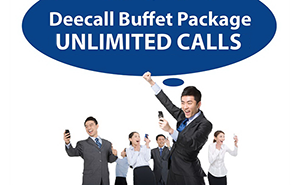 DeeCall Buffet Package offers unlimited calls to any Thai fixed-line or mobile network with HD quality. Plus superior digital international & domestic calling service. 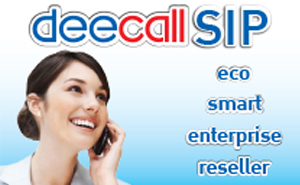 DeeCall maximizes your telecommunication capacity with hi-speed internet telephony or VoIP service. DeeCall is easy to setup and easy to use. The box set comes with IP Phone or Phone Adaptor which can be used both at home and the office by simply plugging it to your PABX system... You will be ready to make phone calls just like a normal phone—no need to dial any access codes.